A larger number of long-term care insurance claims have surpassed the $2-million threshold according to the latest findings that will be released next week by the American Association for Long-Term Care Insurance (AALTCI). The organization gathered data from seven major insurers who reported their largest claims that were still open as of December 31, 2018. 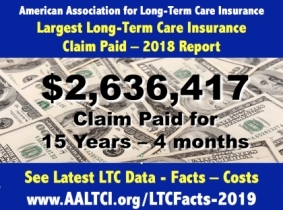 "For the first time there were numerous company reports of individual claims that exceeded $2 million and no single individual claim was less than $1 million," shares Jesse Slome, AALTCI's director. "Our hope is that the data will help address consumer concerns regarding the importance and value of having a traditional long-term care insurance policy. Of course no one ever hopes to have a million dollar need for long-term care but when it happens, and it does, look at the benefits these individuals and their families received." The following are highlights from the Association's 2019 finding. Of the seven long-term care insurers reporting data, four had claims in excess of $2 million for a female policyholder and three had exceeded that level for a male policyholder. Most of the largest claims had been open for between 11 and 18 years according to the Association's 2019 long-term care insurance claims study. According to a previously released Association report, the long-term care insurance industry paid $10.3 Billion in claims during 2018 to more than 303,000 policyholders. "While million dollar long-term care insurance claims are the exception rather than the norm, showing that they actually exist and are being paid is vital for the future of the industry," Slome notes. The American Association for Long-Term Care Insurance advocates for the importance of long-term care planning and helps consumers connect with knowledgeable professionals who are independent advisors. 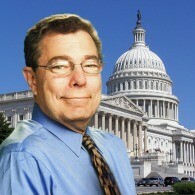 Consumers looking for long-term care insurance costs quotes and information should visit the Association's website at www.aaltci.org or can call the organization's national headquarters at 818-597-3227.